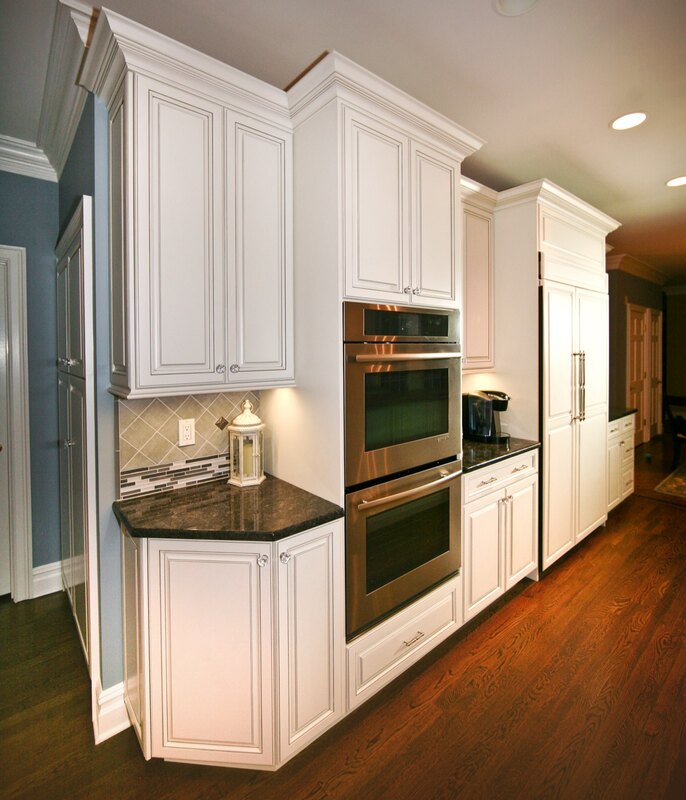 Custom cabinetry taylored to suit your needs. 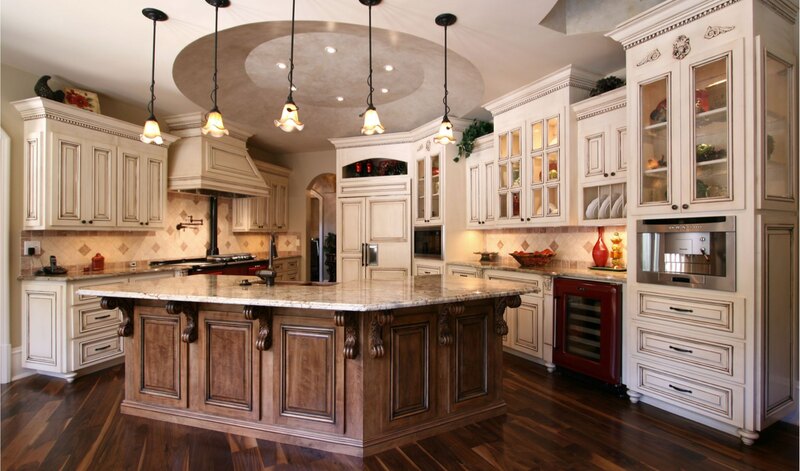 Taylor-Made is truly a family owned and operated local custom cabinetry business. Eli is the first and last hand you will shake–and the only number to call if you have a question. It is our goal to make the process as seamless as possible while providing a very high end custom product. Below is one of our newest projects. These cabinets are painted and then antiqued by hand with a glaze, the process is extensive but the end result is beautiful. Eli worked with the homeowners to design a kitchen that was functional for everyday use as well as entertaining. The double ovens, built in fridge space, and center island are a few of the amenities in this kitchen. Check out our Projects to see our other recent projects. As you can see from the picture, attention to detail is something Eli and our crew pride themselves on. Our work is second to none we always stand our quality and craftsmanship. With Taylor-Made you are not required to live inside of a box, well boxed cabinet that is. We can design your cabinet layout from scratch or your favorite picture from Pinterest. We pride ourselves on thinking outside of the box and giving our customers the best fitting design even if it isn’t always the easiest. Let us help you create your dream, give Eli a call today and he will be happy to get started on your project. I looked around for ideas and then told them what I was looking for. 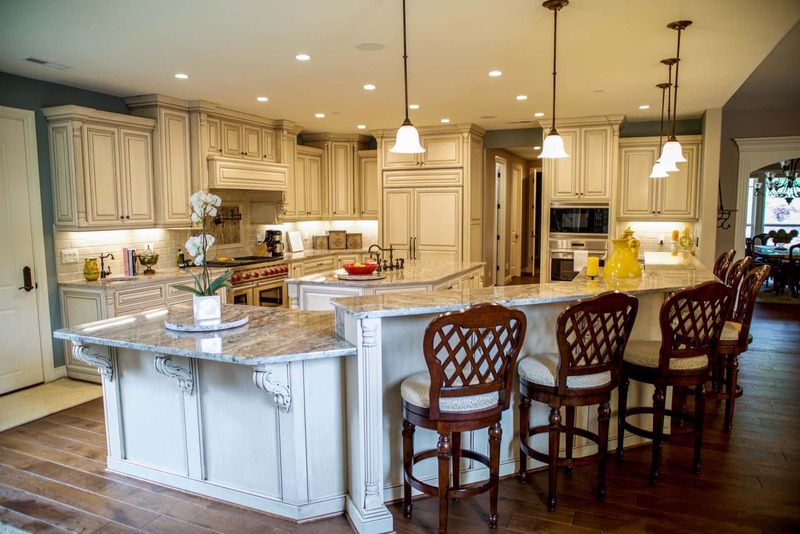 They designed an amazing island that is not only functional, but a great accent piece for my kitchen. I would highly recommend this company to others. Do you have a picture of what you want your kitchen to look like? If so, we can transform that picture into the real thing! Click here to go to our services page. We can design your kitchen from the ground up.